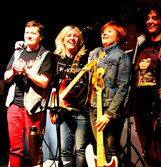 2010 the band was found by Julia & Maria, different musicians performed with the band, Maria and Julia have always remained its permanent participants. Currently they like to play as a DUO, and sometimes Igor Natarov & Sergei Ikonnikov stand by. Actually they work on their 3rd studio album, released early 2018. They performed in Moscow, St. Petersburg, Berlin, Warschau, Goteburg, Narva and also a regular participant of major European and Moscow rock festivals. All albums are on: iTunes, Google Play, YandexMusic. In 2016 their songs got into the rotation of radio “Maximum” (Samara), “Noginsk FM”, “Altai FM”, “Buryatia”. In spring the band gave an interview at program “Posters” on radio “Ivanovo-FM”. They sounds on “Radio of Russia” and won in 161 and 165 issues of the “AURUM INUTILE” program! Immediately after performance at the first open-air summerfestival “Shokofest”, the band went on European Tour. ” HELIUM JAM performed in Narva (Estonia), Goteburg (Sweden), Warsaw (Poland) and Berlin (Germany). During the tour Julia & Maria produced video in Germany for song “While you’re near”. Returning from the tour, the band took part in the charity concert in support of club “Chocolate Factory”, and started to work in studio “Diyez” for the single “Showcases”. In August 2016, they released the new single “Showcases”, which immediately falls into the rotation of Internet and FM radio stations. In autumn 2016 the band played a number of concerts in Moscow, St. Petersburg and Narva. In early 2017 there is suddenly a change in the band: bass guitarist Julia Balakireva, member since 2013, left the band. 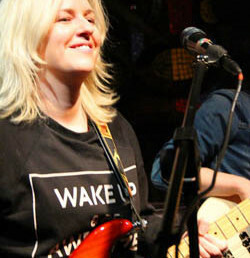 HELIUM JAM performed as a Trio, Julia played before guitar and now bass guitar at the festival of female rock “BabRok” and festival “Shokofest” in May, immediately after they went on tour to Germany. 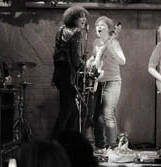 During the tour HELIUM JAM recorded the single “Wind” in Berlin. Returning to Russia, they present the single in St. Petersburg at festival “Queen of the Night”, where Julia Bogel’fer is a member of the jury together with Olga Vior and Svetlana Surganova. 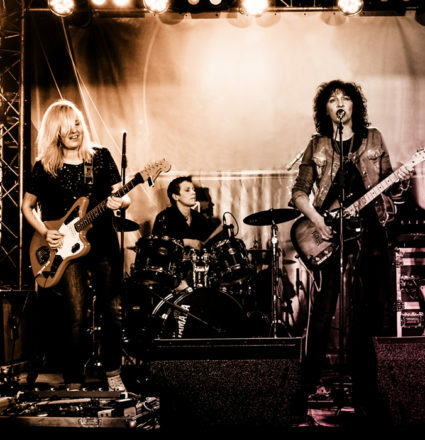 In August HELIUM JAM performed in the legendary Moscow club “16 tons”, and drummer Ekaterina Skokova (member since 2013) decided to leave the band. 2017 Julia Bogelfer & Maria Alysheva began to work on the 3rd studio album. At the same time, Igor Natarov (drums) and Sergei Ikonnikov (bass guitar) become the participants of the band. 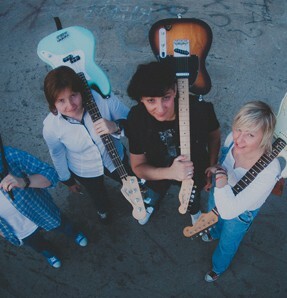 In 2013 HELIUM JAM began to work on their 1st studio album “Listen” in the studio “Diez” and early 2013, Julia Bogelfer & Maria Alysheva got acquainted with bass player Julia Balakireva, and the idea of the female composition of the band is born. 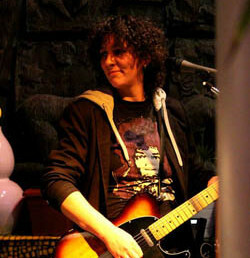 After a while drummer Ekaterina Skokova, became member of the band. Parallel with the recording of the 1st album, the band continued to perform in Moscow and St. Petersburg. In 2014 they were invited to festivals “Bab-Rock” and “Shokofest-2014” and in April they released the Debut-Album “Listen” with 8 songs, which reflected the sound of the band in acoustics and electricity. The album drew the attention of the producer center AHOI-Kultur (Berlin), with whom the contract was signed and the band went on a concert tour to Germany. 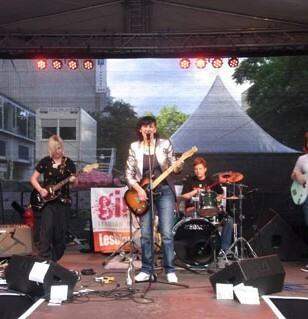 As part of the tour, HELIUM JAM performed for a crowd of 5.000 – 50.000 people in Berlin’s city festivals, performed concert at Panda Theater and gave interviews to fm radio stations. In autumn 2014 HELIUM JAM began to work on the 2nd album at „Studio Diyez”. At the same time, it was decided to rebrand the name “Helium”. The group became known as HELIUM JAM. One of the first songs recorded for the album was “Somedays of happiness”, which immediately fell into the rotation of “First Rail Radio”. In the beginning of 2015, the quartet immediately presents 2 video clips, for the songs “Snow” and “Somedays of Happiness”. 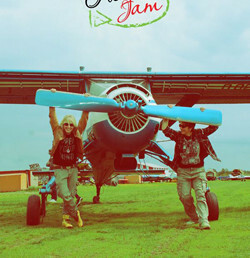 Video “Somedays of Happiness” falls into the rotation of Cyber Snake TV, and in May HELIUM JAM became guests on the same channel in the program “Look Rock Online!”. The Band took part in a number of festivals: “Shokofest”, “Rotonda”, “Bab-Rock” and charity concerts. Songs “Somedays of happiness” and “Snow” fall into the rotation of the radio “3DO”, “Nonstandard”, “Svoe radio”. In August, the band went on Europe tour to Germany and Estonia (Hamburg, Berlin, Narva). Coming back, the band resumed work at the studio with album “23 hours”. HELIUM JAM took part in the program “Live” on the „Svoe Radio“, performed both familiar and beloved songs from the album “Listen” and new songs that announced the album “23 hours”. At the end of 2015 the band gave interviews to Internet portals and radio stations. In November at “Chocolate Factory” in Moscow HELIUM JAM presented the 2nd album “23 hours” including 12 compositions and a remake of the popular “Half a year for happiness” in English. 2010-2012 The name of the band was HELIUM. At first the band was an acoustic duo, which was supplemented by concerts with flute of Ksenia Zvereva, percussion of Mikhail and bass guitar Irina Titova. The first concert took place on 23rd July 2010 in one of the underground clubs in Moscow. In June 2011 the band performed in famous club „Alma-Mater“ acoustic program. 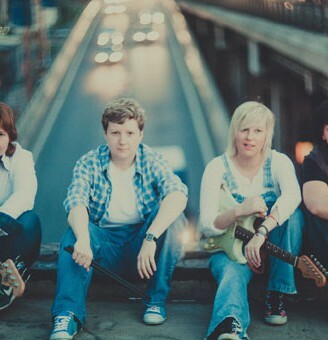 During 2010-2011 HELIUM took part in more than 30 festivals for young bands and performers. In September 2011, Julia & Maria decided to make a rock-band and invited bass player Sergey Ikonnikov and drummer Igor Natarov. The band performed in the capital’s clubs and participated in various festivals. In November 2012, Julia & Maria began to work on album “Listen” at „Studio Diyez. startet to play piano with 5 years. Julia is stubborn and tends all the cases brought to its logical end. She carefully studied music 8 years long. Than she studied autodidactic the guitar herself. She taught memorized poems & lyrics and came up with melodies to them. Julia from her birth was modest person and extremely embarrassed about any public appearances. 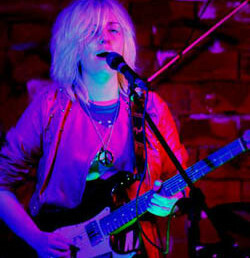 However, there was a crisis in relations with one person, and she decided to express everything … with a guitar on stage. And she did it by taking part in the project “Free Microphone”, where any amateur musician could perform. Then it turned out that it is very exciting to be a guitarist and vocalist! Writing poems and songs, performances in lots of music projects. Guitar has always been with her, since that time she remembers herself. Recording Music was the second thing that has always been with her. a tape recorder, disks, flash drives, online music. 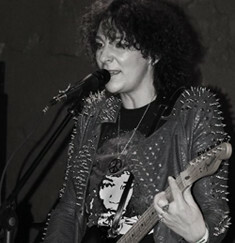 Maria is ideological inspirer the band’s development. She mastered computer program editing and processing of audio & video and offered to go to the electric sound from the acoustic. For this purpose, she studied a bunch of materials about the technical highlights and quality of the equipment. She believes that it is important to take the best out of modern music technology, she explore it by herself, instead of relying on consultants in the shops. Masha says: coming up with music and keep it together is so naturally occupation for her, like breathing. It seems so, because the music is playing constantly since her childhood, and melodies all the time spinning in the brain, in the subconscious.